CAPE TOWN, SOUTH AFRICA--(Marketwired - November 12, 2013) - AfricaCom 2013 -- Telrad Networks, a global provider of innovative 4G wireless and telecom solutions, today launched the BreezeCOMPACT 3000, the newest addition to its BreezeCOMPACT 4G family of all-outdoor base stations. The BreezeCOMPACT 3000 supports both WiMAX and LTE, and is designed to help operators face the increasing challenge of delivering high-quality broadband services in a cost-effective manner, while providing a seamless transition path between WiMAX and TD-LTE Advanced. 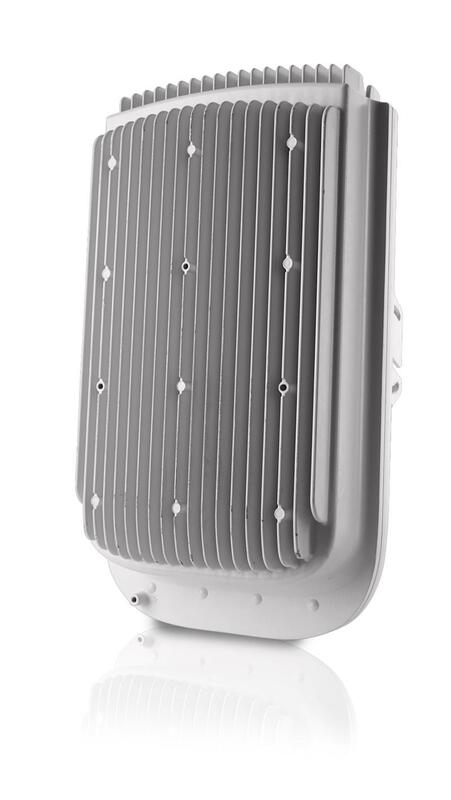 Building upon the market success of the field-proven BreezeCOMPACT 1000 and 2000 in 3.5 GHz, the BreezeCOMPACT 3000 is optimized for 2.5 GHz deployments and is ideal for fixed, nomadic and mobile wireless access. The WiMAX/TD-LTE Advanced base station was designed to have an eco-friendly footprint, without sacrificing performance -- with an all-in-one, small form factor. Leveraging Telrad's Software Defined Radio (SDR) technology, operators can easily and affordably migrate from WiMAX to LTE-Advanced with a simple software upgrade, without needing an equipment change and with no need to approach the base station site. The BreezeCOMPACT 3000 is highly scalable, enabling various configurations that are suitable for nearly all macro deployment requirements. The solution increases data throughput rates with scalable sector configurations (up to two sectors and/or two carriers), and 4TX x 4RX MIMO performance. Its superior radio design is able to provide better indoor and outdoor coverage in dense urban, suburban and rural areas, including Line of Sight (LOS), Near LOS, Non-LOS. "As broadband traffic demand continues to grow, it challenges the operators to create a sustainable radio deployment model to meet the demand," commented Mark Altshuller, Chief Technology Officer, Telrad. "Telrad's BreezeCOMPACT 3000 was designed to address these challenges and bring cost-effective connectivity, coverage and capacity solution to the market. Delivering extremely high power functionality, it offers big performance in a small package." The BreezeCOMPACT 3000 is the newest addition to the BreezeCOMPACT suite. Together, the BreezeCOMPACT family incorporates some of the most advanced RF radio features on the market, delivering the highest levels of service and reliability. An all-in-one modem and radio, single box design can be easily and flexibly mounted on rooftops, walls, poles and towers with a single installation point. Telrad's base stations represent the ideal solution for operators who seek the assured quality and reduced risk, while maximizing the cost-effectiveness of any deployment.